Wouldnt want to be accused of trolling ,but I've rearended twice ,once by another big truck ,and once by passenger car ,...i could post photos of the aftermath but suffice to say a young woman driver lost her head ,one of her 2 children in backseat also...the other survived ,but i cannot imagine what sort of nightmares she has endured since . You wanna run to your dispatcher everytime someone is mean to you ,you go right ahead ,i'm going to get in their face and resolve it right away. Whether I get fired or go to jail isnt of consequence ,that bully isnt going to get by with it a moment longer. Excellent advice for new drivers everywhere - if someone makes you mad, punch them in the face and don't worry about losing your job or going to jail. Zach, you're a real blessing for new drivers everywhere. Just the lesson we're looking to teach here - throw away your future using violence to shut people up. That's what Zach does and it's served him well I'm sure. Can't wait to hear more. Well believe this ,I'm a borderline diabetic,denying me access to food is tantamont to deliberating attempting to kill me .Maybe you and the rest of your lil friends on here would get a big laugh out of seeing someone going into convulsions, having a siezure,... dying right in front of you ,especially if you had a hand in it .I can always find another job;...under the circumstances I'm sure a criminal judge might show leniecy ,I can't get another life once this one is lost .I will fight to save my life .Hell I'd even fight to save yours ,can you say the same ?Judging by the attitudes expressed on here ,I'd say no .Its real nice to know who has my back and who doesn't . I am not sure I could have put up with everything Old School did, but he did and it worked out great for him. We never know what is happening behind the scenes or in the mind of a trainer. All I can say, is that I am glad I am not starting out on flat beds. What can I say ? I like to eat .And while no right to eat exists as far as I know; no one ,including the trainer in your story has the right to deny any one the opportunity or ability to eat when they are hungry. .your trainer is or was a bully ,and the only language a bully understands ,is in your face confrontation.You wanna run to your dispatcher everytime someone is mean to you ,you go right ahead ,i'm going to get in their face and resolve it right away. Whether I get fired or go to jail isnt of consequence ,that bully isnt going to get by with it a moment longer. I would keep looking, I had BOA and after a house fire in which I lost my house and my girlfriend they overdrafted my account and wouldn't work with me to fix it. It came to about 750 dollars, I found it hard to be able to open an account after that but was able to find a bank that doesn't even check. You could also have a parent open a joint account if you trust them....I would be weary of putting my check into my girlfriends account. Oh hell, we've been together for several years. I'm surprised it took her 18 years...you've only been here a week and I'm already tired of ya.. ...The rest of the story is, she was diagnosed with a terminal illness shortly before she left ,you guys are right ,I am/was tough as nails on somethings.When she first approached me with the notion of me quitting my job ,clean out our bank accounts and live like there was no tomorrow ,she neglected to tell me about her medical condition .I thought she was crazy as hell and told her so .We had a life together a mortgage ,a kid to raise,plans for the future ...buying an RV ,and taking off into the sunset with no further thoughts to our future plans was crazy .She took off and acted like a crazy person til she died 3 months later... ****ing away nearly $54,000 it took me ten years to save ,with nothing to show for it except for one hell of a party.I/we had no clue what was driving her til after the fact . I left the road(OTR) then ,doing local work only so I could raise our (then 11)son alone .Taking him OTR during the summer months ,saving as much as I could to replenish his college fund .He statrs at WVU this spring ,when I'll be returning full time to what I do best .Sorry if I ruffled a few feathers.I do come across a bit gruff at times . Assuming you have sufficent force behind the thrust ,nevermind pin point accuracy hitting the target in the first place ...the carotid artery is smaller in diameter than a soda straw in most people,and surrounded by a tough membrane that probably will just deflect your dull/blunt key,...again,just ****ing off your assilant ...why not go for the eyes instead then run like the devil is chasing you after? Are gloves suggested? I'm here at Prime and I never heard anything about bringing gloves, plus my earlier work we were offered gloves and I just turned them down. Zach's unwritten rule #3= never turn down something given freely ,unless you know for a fact its illegal or dangerous.Whatever it is , ...better to have and not need ,than need and not have. I'm a senior in High School and I want to be a truck driver. 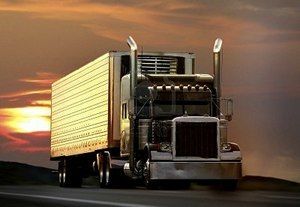 I know that very few trucking companies hire people below 21 years old. Are there any other driving jobs or truck stop jobs available to 18 year olds? You might try finding local work driving a delivery van for someone (florist,autoparts store ,paint store etc) It isn't glamourous or require a CDL ,but it'll give you a taste of dealing with traffic,multiple stops, interacting with people on a professional level.And it certainly doesn't hurt to have previous "driving" positions on your resume when you later apply for big truck work a few years from now . I'm about to finish my CDL traning and I have three jobs waiting for me. As I get closer to my graduation date, the recruiters from each of the three companies call me practically every other day, wanting to schedule me for orientation. The trouble is I'm confused by the disparity between what the companies are saying about themselves and what the obviously disgruntled current and former drivers are saying. Werner, TransAm, and Roehl want to hire me. I want to drive from coast to coast in a tractor that isnt' too old, and, though I would like to get home every once in awhile, I have no compelling reasons for getting home more than once every four to eight weeks, or so. Right now, my order of preference is: Werner (close to where I'm currently living); next, TransAm (fewer terminals and therefore more weekly mileage? ); finally, Roehl (no particular reason - just that they've offered me a job). What I really need is some objective feedback on each of these companies. Can anyone provide some? Thanks! Werner was amongst my first few companies I worked for while I was gaining experience in the trade .They were straight shooters telling me up front what to expect from them from the get go and for the most part they were spot on.You could do much worse going with someone else My first "training" company probably should have issued rose colored glasses along with the red truck they gave me to drive because nothing they told me ended up being accurate.Some companies will mislead you to get you in one of their trucks .Not Werner .After appx 6 months under my belt with them I transfered to their dedicated fleet division,pulling trailers to Family Dollar stores .Upon arrival at the stores I'd have to tailgate the floor loaded freight ,it was hot dirty work ,but it was a salaried position (no mileage pay)..I didn't run a lot of miles ,but I did have a steady regular paycheck. The only thing I can tell you about Trans Am is that the first day of what I believed was orientation ,it quickly became apparent I was there to attend their in house ,several weeks long training program .I already had a few years experience under my belt ,so I wasnt expecting that at all,I confronted them about that essentialing telling them I came there to work ,not go to school, either put me to work or put me on greyhound . The did neither, leaving me high and dry 300 miles from home . Every thing I've heard about Reohl is they are a good company ,however I have no practical hands on experience with them ,so I'd suggest talking with some of their drivers in truckstops etc first before making the plunge there . Do truk drivers tend to gain or lose weight? In this case it was total truth .Picked up a piece of machinery from a closed factory ,was being shipped to a company in Texas to be refurbished and put back into service in Mexico eventually. There were many times I was required to tarp a load that really didn't need it ,but the shipper is paying for it so you do it anyway. I'm always amazed at people who live up north and have been exposed to winter their whole lives and still don't know how to drive in snow and ice. Ironically, I used to drive a delivery truck and a milk truck (not the tankers) in S.E. Pennsylvania. I drove on ice covered cowpaths congested with BMW's, Mercedes, and other expensive cars that the rich folk from the Main Line (Old Railroad money descendants) drove. Never had an incident. I really don't know where this apprehension comes from. I guess I was under the impression that you didn't have the option of stopping and waiting for better conditions. I just assumed the company expected you to soldier on through it, "That's what we're paying you for!" Now that I know I have the option of stopping, I'm a little less concerned. Unlike straight vehicles ,tractor trailers act differently on ice .Once control is lost ,even if you find traction again,chances are good your vehicle is already sideways or worse case ,jack-knifed ...that pooch is screwed.If there is ever any doubt about conditions ,park it. What Brett,Roger and Daniel said. My 2cents worth as a former truck owner ,the only advantage to owning your truck is you can trick it out with all the chrome accessories,pinstripes and fancy graphics your little heart desires but none of those things make you earn one penny more .Stay a company driver and all you have to worry about is keeping yourself legal and making it from point "A" to point "B" as safely as possible . Weight gain or loss has more to do with your metabolism and lifestyle choices then anything else .Prior to driving, I worked mainly in an office ,going to lunch with the guys to various buffet type places followed by more hours sitting at my desk ,followed by lazing around the house with my kids .I was slightly plump. After I began driving I lost appx 30 lbs and for the most part kept it off ,but then I was significantly more active than before too.My first couple of driving jobs saw me frequently in/out of my truck on drop and hooks or hand unloading at grocery warehouses.One company I delivered retail goods to a line of chain stores,these were all live unload where I tailgated the freight at each stop...talk about a work out .Echoing the guy above me ,you really want to lose weight ,be a flat bedder. Losing or gaining a little bit I wouldn't be too concerned with ,but if it really bothers you ,seek the advice of a doctor ,perhaps something else is amiss and your recent career change is coincidental to a health problem only now coming to your attention. So I rented a car for the day and I was driving down to Anderson's Split Pea on I-5 and I pulled off to the side of the highway for a min because I saw a HUGE! SPIDER eeekkk I am terrified of spiders. I get out of the car start wacking at the spider with my newspaper and here pulls up a cop behind my car and he scared the daylights out of me, - ( I didn't realize he even pulled up til he said something to me,) I was so focused on killing this spider everytime Iwent to wack it though it move away so i would just barely miss it. So the cop says ( Everything ok miss?) I freaked out jumped back newspaper went flying and i scrame lol once I realised it was a cop I calmed myself down this guy laughed at me lol ( be honest if i was the cop i would laugh at me too) I told him yeah there just a spider in my car i was trying to get. I kid you not this guy sees the spider and with no hesitation he picks it up with his bare hands sets it on the ground NEXT TO ME!! I scrame again and ran away from the spider. i said thanks to the cop and i went our seperate way. It was great to see I am not the only one out there that is scared of bugs. I am absolutely terrified of june bugs and water bugs (you know the giant ****roaches). I once had a june bug fly down my shirt while I was working at jack in the box. I had leaned out of the window to give a customer their order. The order got thrown into the car and my shirt with it. The darn thing was down inside my bra at that point and I was able to get it out without too much more hassle. The customers had a great laugh. My manager did not. But since the customers weren't mad I was only given a verbal warning to keep my clothes on, regardless of the size of the june bug that may fly down my shirt. .......And they said you would have days like this as a truck driver! That's funny. I worked for them for 6 years and couldn't beg for a break. Hardly ever got less than 3000 miles a week running OTR and regional. For two years I was on a regional fleet that got me home every weekend and I still got 3000 miles most weeks. Hey I love it for you Brett,were they your first carrier right out of driving school?,was your first run a shuttle between Springfield and Indy?That pretty much set the tone for my first 6 months as a driver for them.Short runs that typically took all day to complete followed by many hours sitting/ waiting on the next few crumbs.By the time I left them I knew the locations of just about every terminal and drop yard in the system,having visited pretty much each and every one .At least Werner was up front about it ,stating all new drivers were expected to shag at least one day out of every ten worked .